Photography on the Run: Runners in an oak-filled canyon on the return leg of the new Las Llajas - Tapo Canyon out & back section of the course. The runners are at about mile 16.3. The outbound and returning trails are separate at this point. 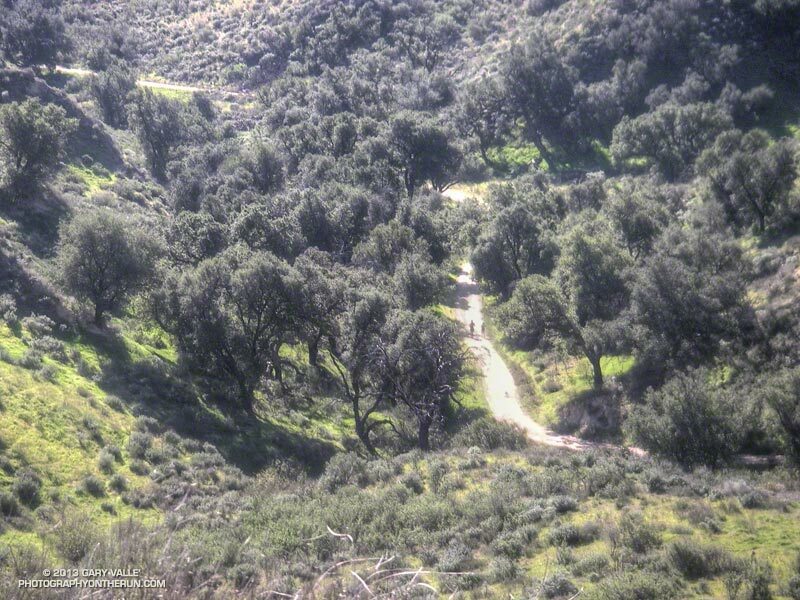 Runners in an oak-filled canyon on the return leg of the new Las Llajas - Tapo Canyon out & back section of the course. The runners are at about mile 16.3. The outbound and returning trails are separate at this point.